Last winter my horse (warmblood, gelding, 16 years old) suffered increasingly from thrush and crumbling horn on the wall of the hoof. This had been partly worsened by its wearing closed horseshoes. During my search for products to treat the thrush without having an aggressive effect on the horn, I happened to visit the stand of Life Data Labs, INC. in Aachen. Mrs. Karen Zetsche, the European sales representative, advised me most competently and was able to convince me that I should use the combination of special feeding and hoof care with Life Data products. 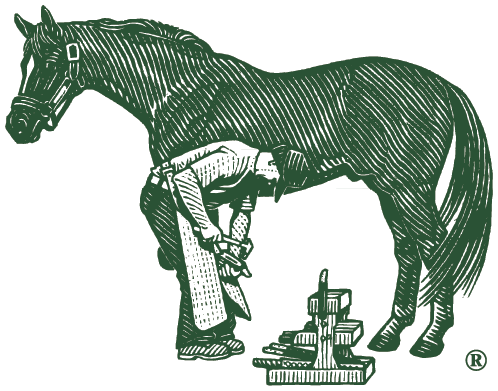 Since the middle of July I have been giving my horse a ¾ measure per day of Farrier's Formula Double Concentrate, a feed supplement for improving the hoof structure. I am continuing to treat the hooves, in particular the frog and the collateral grooves, with Life Data Hoof Dressing, a substance for treating the bacteria and fungi that damage the horn. Now that the wet season has begun and the horse has to stand on the sand paddock, I also use with "The Right Step" for the hooves. This is a hoof-care product which provides special protection against environmental dampness. Although I do not apply the care products daily, as recommended, after only four months there is already a distinct improvement visible in the horn structure. Until the complete regeneration of the hooves I will keep to the dosage of Farrier's Formula Double Concentrates. Afterwards, I will change over to permanent feeding and will halve the dosage. Thanks to the photo documentation of the course of the hoof improvement, I have a better overview of the positive development. I can strongly recommend this treatment for improving hoof quality!